Just a quick update here. Having 6 weeks off this winter was wonderful for the blog, but now that’s come to an end so posts might slow down a bit here for awhile until I get back into functioning with life. I.e. that 2 hour commute and not being able to make cocktails whenever I want. Anyway, we have some new additions in the garden for the spring which I’m excited about! 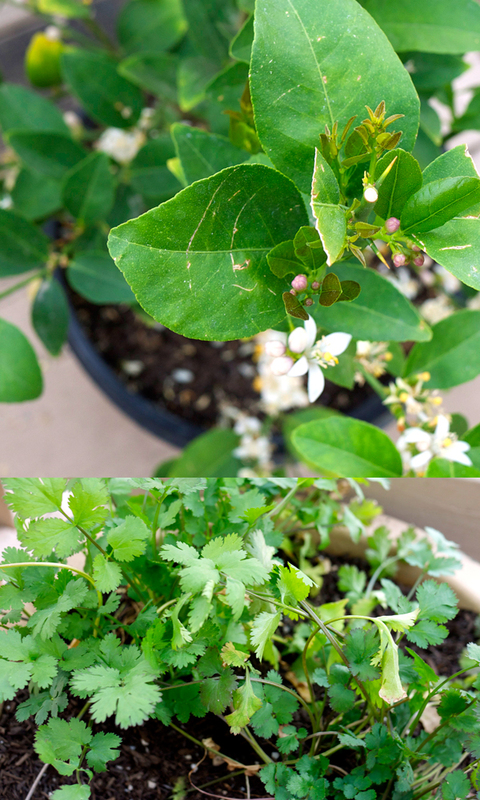 We’re trying tomatoes again (now that I’ve learned how not to kill them), also some Mexican limes and cilantro. All for cocktails. Ok, mostly for cocktails- we do cook a lot around my house. I’m kind of obsessing with punches and sangrias lately, so I’d expect to see some of those here in the next month or so. And yes, I’ll find a way to stick serranos and edible flowers in there.